Newspapers and the news stations have become cess pools of sordid information about the crimes carried out against woman, with recent publicized cases that saw authorities coming out in support the assailant and not the victim. The safest country of them all? This report was met with a lot of resistance, with Indians claiming that countries like Syria and Afghanistan could not possibly fall behind India. However, whether the ranking is true or notdoes not really matter, does it? What the world sees now is that India has most definitely lost the ‘perception’ of being a safe country for women. The government has decided to introduce the AIS 140device to begin a change in the right way. This device, when implemented, and further enforced properly, can be the transportrevolution needed in a country like India where women safety, in particular, is such a big issue. The introduction of this technology can help in ensuring that women and travellers as a whole canfeel absolutely secure. AIS 140 compliance recommends installing a panic button in all public and private passenger vehicles, according to their size, which provides all the passengers on board the ability to alert the nearby police control room in case of emergency or threat. Already, the Ministry of Road Transport and Highways (MoRTH) issued a statement demanding that all passenger transport vehicles including taxis and buses are to be mandatorily equipped with GPS devices starting 1st April, 2018. What could be seen as a perfect device for Fleet Tracking Management, as well as Vehicle Telematics, is also an answer to the crimes against women and minors that are flooding our news. 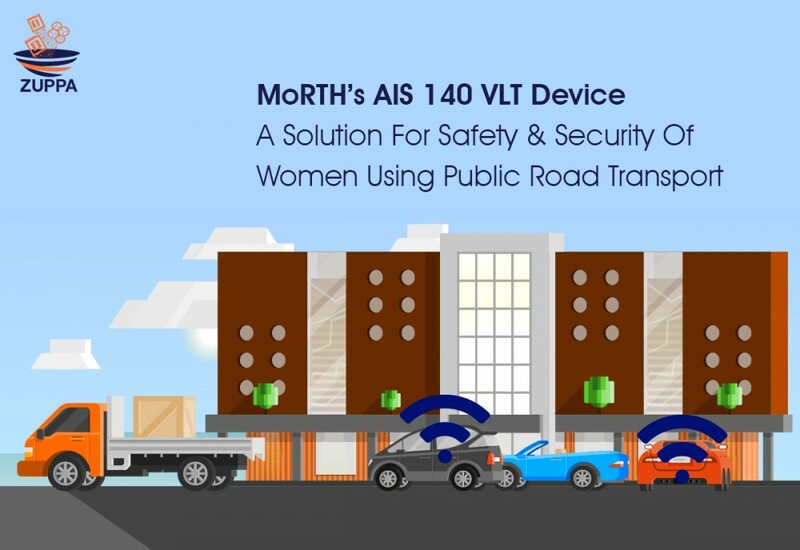 With these AIS 140 able devices, features like driver behaviour, over-speeding, sudden acceleration and braking, night driving and most importantly travelled route, durations of idling, and other time related details can all be stored and transmitted to the respective people. This can add insightful information in many situations. Timelines, locations, and more can be derived and used to investigate more thoroughly. This also gives parents and loved ones more security while sending the female members of their families outside in cabs or hired transport. Zuppa IoT Solutions AIS 140 tracker device is government compliant and can be configured to future regulations and customer requirements. Get in touch with Zuppa for your VTS requirements today!